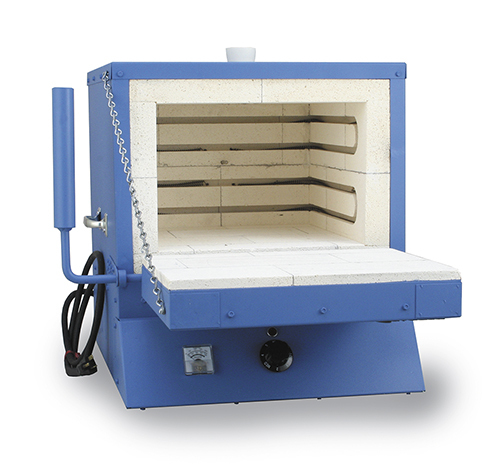 Our large capacity electric burnout furnace is built for heavy-duty use. Its inner chamber is lined with 2-1/2" thick firebrick. The door has a large counterweight for easy opening and closing. When open, door can be used as a platform for loading and unloading flasks. The dial control allows 6 temperature settings up to 2,000° F.
Available with or without a Pyrometer & Thermocouple. Replacement heating element is available; please note furnace has 2 heating elements.